Ceilidh - merry and simple dances, widespread in Scotland as amusement at parties and weddings. Even if you haven't got dance experience, this is the perfect way to start. Scottish Country Dance - social group dance, requiring some knowledge about figures and their progression. This is the best way for making stronger your health and spirit, for improving your memory and attention, and for making friends throughout the whole Scottish dancing world. Highland Dance - solo athletic dance. All Scottish traditions are concentrated in these dances. Highland dances train patience, strenghten your body and are filled with the spirit of competition..
Ladies' Step Dance - solo dances, intended mostly for the ladies (but there are exclusions). They are feminine, airy, mannered. The dancing style is very close to Highland Dances, but smoother and more tranquil. Cape Breton Step - solo Scottish dances, performed in hard shoes (tap dancing style emigrated from Scotland to Canada during English repressions of 18 century). They are recommended for those who wanted to learn how to feel the rhythm and express their individuality. 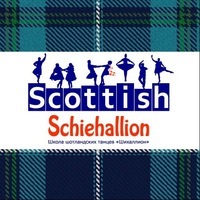 Tuesday 20:30-22:30 - Highland Dance - 16, 7th Sovetskaya str. Tuesday 19:00-21:00 - SCD beginners - 3, 8th Sovetskaya str. Thursday 20:00-22:00 - SCD advanced - 26-28 Serpukhovskaya str. Friday 20:30-22:30 - Cape Breton Step - 16, 7th Sovetskaya str.